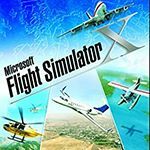 I have Flight Simulator 2005 in my game collection, maybe I'll do that game some time. how the hell did all the cars get in a flying game?!? Meowth <="=>. wrote how the hell did all the cars get in a flying game?!? Those cars are seen outside the airport. I land my aircraft outside the airport and capture screenshots. Subzero-Could you please add some pics of the planes Espacily and Pipers or Cessna's, as I like them! marioman3138 wrote Subzero-Could you please add some pics of the planes Espacily and Pipers or Cessna's, as I like them! SizSkiizd wrote I have Flight Simulator 2005 in my game collection, maybe I'll do that game some time. I'm sorry you're wrong is flight simulator 2004, not 2005!